Come on out and create a masterpiece using Chalk Couture! 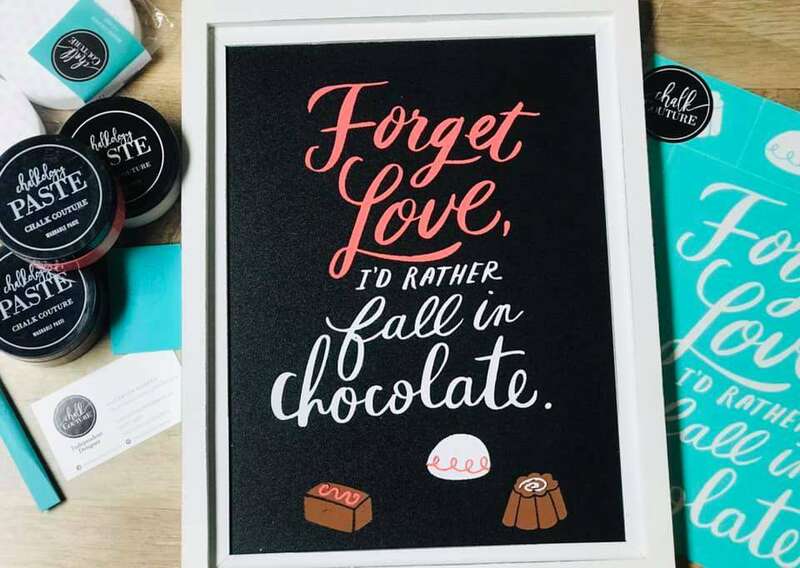 We will be creating a fun, Valentine’s themed piece featuring the “Forget love, I’d rather fall in Chocolate” transfer. The reusable transfer and framed chalkboard surface are yours to keep. Chalk paste, squeegees and supplies will be provided. Sure to be a fun night of crafting, drinks, friends and fun!